The Tarot card for today is the Page of Cups (Friendship). The Tarot card for today is the Five of Pentacles (Isolation). The Tarot card for today is the Ten of Swords (Endings). The Tarot card for today is the Ten of Pentacles (Support). 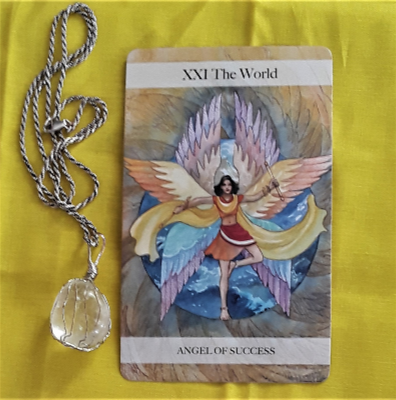 The Tarot card for today, Saturday, and Sunday is the Sun (Angel of Happiness). The Tarot cards for today are the High Priestess (Angel of Power) and the Four of Wands (Freedom). The Tarot card for today is the Knight of Swords (Drama). The Tarot cards for today are the King of Pentacles (Generosity) and Temperance (Angel of Peace). Hi, all! The Tarot cards for today are the Fool (Angel of Innocence) and the Five of Wands (Tests). I personally am taking a leap of faith and presenting today’s reading as a video. I hope you enjoy it! If you would like a book a personal reading, take a look at the options available at my MsJoyceTarot shop.